Just by putting on a black helmet, a backpack and a pair of gloves, Hose Aquinas made his personal history of setting his own feet on the “moon”. “My dream has come true, and it’s so real!” said the astounded Spanish businessman who was among the scores of visitors lining up at the Chinese telecommunications giant Huawei’s Wireless X Labs at the annual Mobile World Congress (MWC) in Barcelona, Spain. Drawn by the latest 5G Computer Graphics (CG) Cloud technologies developed by Huawei and its partners, visitors seem more than eager to experience the real-time virtual reality of landing on the moon in a lunar module, opening the door, walking on the moon surface and picking up sample rocks. As one of the pioneers in the industry, Huawei relocates the process of image rendering to cloud with its CG cloud VR demo, allowing VR experience to be free of cables used in many other VR games. “I never thought my life can be changed just like that,” Aquina told Xinhua, “5G and cloud technologies offers so many new possibilities.” The moon landing VR experience is just a taste of what future looks like with G5 and cloud technologies. Unlike the time of 2G and 3G, the era of 5G is increasingly shaped with substantial contributions from the Chinese firms which are moving to lead the telecommunication industry. 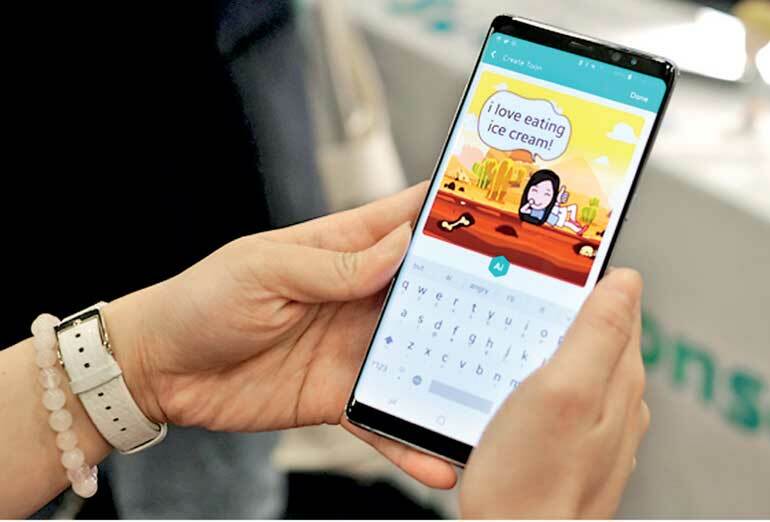 At the MWC, Chinese companies, including Huawei, ZTE and Alibaba, presented the latest technologies and solutions for 5G, All-Cloud network, video and Internet of Things (IoT). Huawei alone will launch more than 20 cutting-edge products during the four-day event, including an Intent-driven Network and the AUTIN digital O&M platform, showcasing the results with its over 300 partners in a bid to embark on the roads to a fully-connected intelligent world. “5G standards and technologies are maturing. As market demand continues to grow, Huawei plans to launch a full range of end-to-end 5G products, including customer premise equipment, to help carriers get a head start on 5G,” said Ken Hu, Huawei Rotating CEO.”The ultimate goal is to build a fully connected, intelligent world,” Hu said. “Life could be so much different with these technologies,” said British visitor Kerry Robinson. Another industry leader, Alibaba Cloud, the largest cloud partner in China, also launched an array of cloud and AI products and solutions at the MWC, ranging from big data and artificial intelligence to infrastructure, security and private cloud solutions. “Alibaba Cloud wants to be an enabler for technology innovation in Europe helping enterprises does business. The Mobile World Congress in Barcelona is a great opportunity for us to refresh our European strategy and consider how we can make an increasing contribution to the digital transformation of enterprises in this market,” said Yeming Wang, General Manager of Alibaba Cloud Europe. Some of these products, which already enjoyed success in China, demonstrate Alibaba Cloud´s advanced big data and AI capabilities enabled by super computing power. For instance, Image Search is widely applied in a number of scenarios in China including New Retail and the intelligent service robot served more than 40 million customers in a single day during last year’s 11.11 Global Shopping Festival. Apparently, the prospect of 5G offers even more opportunities, and of course challenges for Chinese firms. “5G will allow us to enjoy unprecedented freedom of wireless, mobile and connected life beyond imagination,” said Wang Yufeng, President of Huawei’s Wireless X Labs. “It is a road untaken with unforeseen challenges, so we have to work very hard to keep being ahead in the competition,” said Wang.